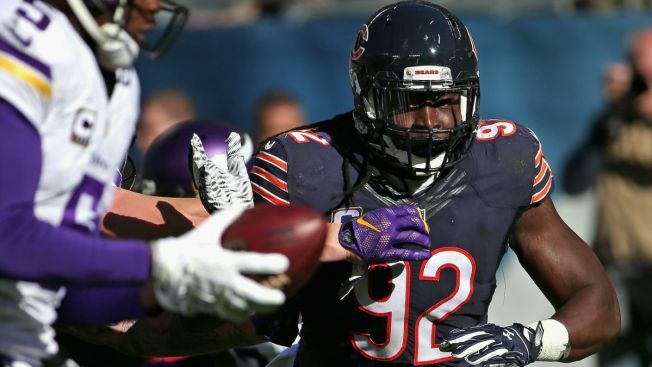 Despite not practicing at all during the preseason, it would appear that Chicago Bears fans will be seeing Pernell McPhee on the field sooner rather than later. According to Brad Biggs of the Chicago Tribune, McPhee will not begin the season on the Physically Unable to Perform (PUP) list as he continues to recover from a knee issue that prevented him from practicing during training camp. The decision not to put McPhee on the PUP list would mean that he would be on the active 53-man roster when it is announced, and that he can play at any time once the regular season begins. If McPhee had been placed on PUP, it would have meant that he’d have missed at least the first six games of the regular season. McPhee didn’t make his 2016 debut until mid-October after dealing with a knee injury during training camp, and he ultimately played in just nine games total for the team. In those nine games, the linebacker notched four sacks and 13 total tackles on the season. This season, McPhee was placed on the PUP list when training camp began with another knee issue, but now it appears that he’s far enough along in his recovery to generate some optimism that he’ll be on the field soon.